Follow the below steps to do visitor entry. 1. Open Gatekeeper application and click on Visitor Entry. 2. 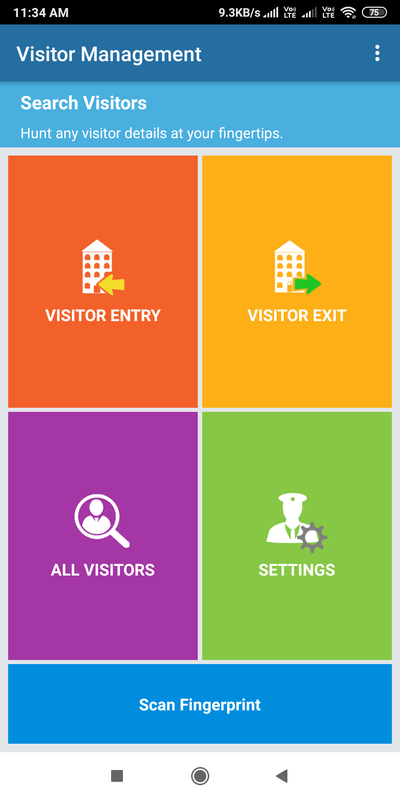 Enter the visitor details like Name, Mobile, Flat to Visit, Purpose etc. You can also take the visitor photo. 3. Click on Save button. 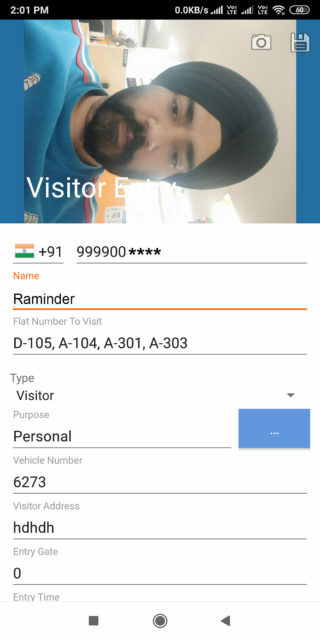 –> if Verify visitor mobile number is enabled then the system will send OTP on visitor phone. –> If Enable Visitor Approval is enabled then the system will send call notification to flat members for approval.